Detroit fourth-graders work with Hyundai Mobis engineer to build solar cars from kits. It is no secret that the automotive and technology industries are faced with an engineering and skilled trades shortage. A study by Deloitte and The Manufacturing Institute reveals the skills gap may leave an estimated 2.4 million positions unfilled between 2018 and 2028, with a potential economic impact of $2.5 trillion. The study also shows the positions relating to digital talent, skilled production and operational managers may be three times as difficult to fill in the next three years. STEM education (science, technology, engineering and math) in the classroom has proved successful in exciting students about careers in STEM fields. Adding the arts/design to this mix of skills has resulted in even more well-rounded students, creating a STEAM movement. Still, without reading and literacy, our workforce and our communities will continue to fall short. Children and adults who cannot read cannot learn and cannot participate in the workforce. The future of the automotive industry and the nation’s workforce depends on everyone learning this fundamental yet critical skill. By adding the letter R for reading, we can create a STREAM movement to keep every child and adult continuously learning and moving toward success. Several key automotive OEM and supplier partners agree. They help Beyond Basics, a metropolitan Detroit literacy nonprofit, battle the literacy crisis one student at a time by providing financial support for our tutoring program and mentoring students with literacy enrichment activities at local schools. Freudenberg Group sponsors our literacy suite of programming at Burton International Academy and is funding the expansion of our International Art and Writing Project to two additional countries this year. Their team also visits the school monthly to volunteer with our publishing center and art program and participates in a variety of mentoring activities and donation drives to help our students in need. 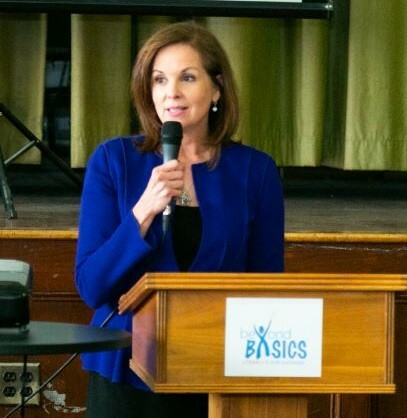 In October, thanks to a $250,000 grant from General Motors, Beyond Basics opened the inaugural Beyond Basics Family Literacy Center at the Durfee Innovation Society, the former Durfee Elementary Middle School. Students and families now have access to free reading tutoring, GED and SAT prep, workforce development programs and literacy enrichment activities right in their own backyard. Hyundai MOBIS Technical Center of North America recently transformed the Beyond Basics Family Literacy Center into a small solar kit car manufacturing center where 40 fourth-graders from Durfee Elementary School worked alongside 10 engineers to build solar kit cars. This engineering literacy enrichment activity helped the children build vocabulary and comprehension in science, technology, engineering and math. When the Hyundai Mobis engineers asked the children what they learned that day, several students answered, “I learned I can be an engineer.” Activities like these get our students excited about learning and inspire them to dream bigger than they ever thought possible. Literacy is an investment in the future of our families and youth and an investment in the future of Detroit and the automotive industry. By teaching more children and adults to read and motivating them with STREAM literacy activities, we can fill the automotive industry’s job pipeline with talented candidates who want to pursue engineering and skilled-trades careers. The future of the automotive industry depends on it. Pamela Good is co-founder and CEO of Beyond Basics.